Despite climate change, water scarcity and the many ills affecting the planet, this generation is living on an increasingly greener Earth. The new findings appear especially positive in light of earlier studies of global vegetation trends. Science has already found that climate change can affect the Earth’s vegetation pattern adversely. Up to now scientists who have already noted the appearance of global greening thought it was because plants were responding to the fact there was more carbon dioxide in the atmosphere (which is needed for photosynthesis) and so were growing faster, in a process known as the fertilizer effect. This turns out to be only partly true, because a new study reported in the online community Nature Research Sustainability has shown that it is more intensive agriculture and the use of much more artificial farm fertilizers that is one of the main contributors to greening. But despite these reservations there is much good news in the latest research. Since the turn of the century China has shown a remarkable growth in its green areas because of the planting of new forests and the intensification of agriculture. Although the country contains only 6.6 percent of the global vegetated area, it alone accounts for 25 percent of the net increase in leaf area of the planet in that time. Of this, 42 percent of the increase in green areas was from newly planted forest and 32 percent from croplands. The forests are designed to hold back the deserts, cut air pollution and reduce climate change. 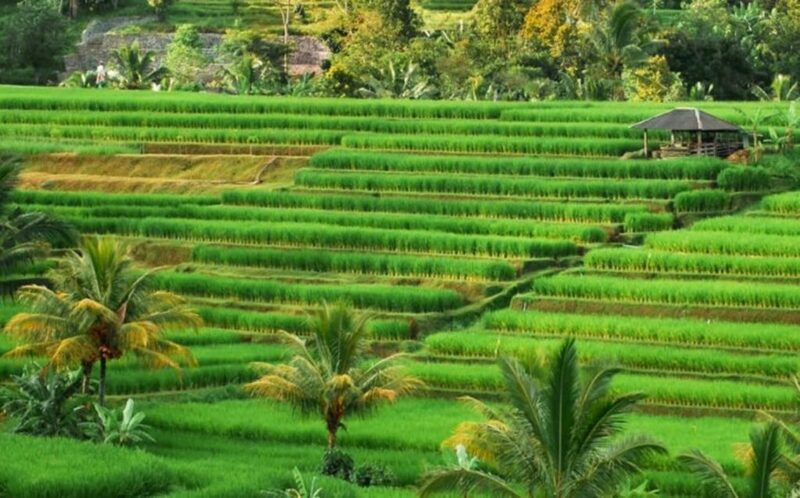 The 32 percent rise of greening in croplands was caused by intense agriculture, more irrigation with multiple cropping, and heavy fertilizer use, often causing damage to the local environment. In India, also far greener than in 2000, larger forests account for only a 4.4 percent increase in greening, while 82 percent comes from croplands. In both countries food production has increased 35 percent in the same period as both governments have sought to feed their people. The European Union also has experienced considerable greening over the same period, third behind China and India in the global league table. In this case 55 percent was due to increased cropland and 34 percent to more forests. Brazil, the Democratic Republic of the Congo, and Indonesia continued destroying their forests, and in doing so more than made up for the gains elsewhere, apart from the damage this did to ecosystems and biodiversity, the scientists note. Brazil, which has more green land than any other country on the planet, came top of the browning table, having degraded 11.6 percent of its green land since 2000. Indonesia came second in the browning table with 6.8 percent, Argentina a close third with 6.7 percent, and Canada fourth with 5.7 percent. Most of the greening is due to more intensive agricultural practices, as in China and India, and more planting of forests. This, rather than the fertilizer effect, is responsible for at least a third or probably more of the greening of the Earth this century.